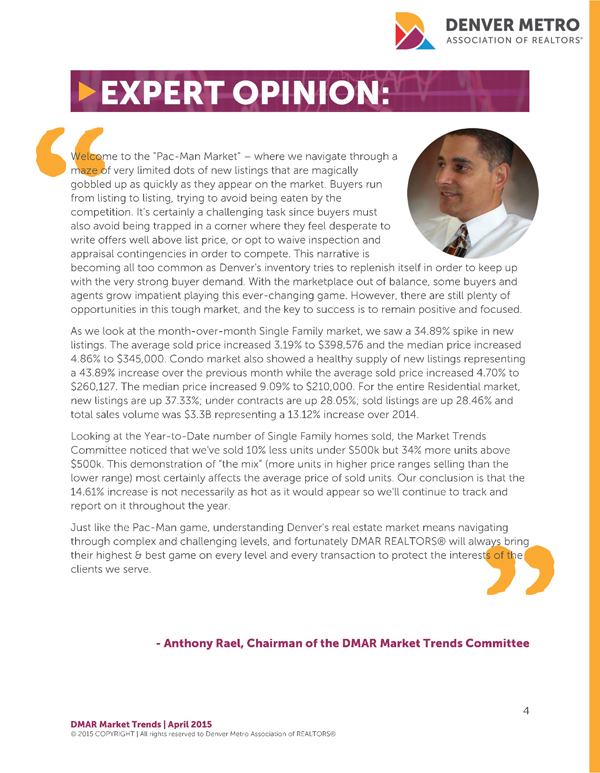 "Welcome to the 'Pac-Man Market' – where we navigate through a maze of very limited dots of new listings that are magically gobbled up as quickly as they appear on the market. 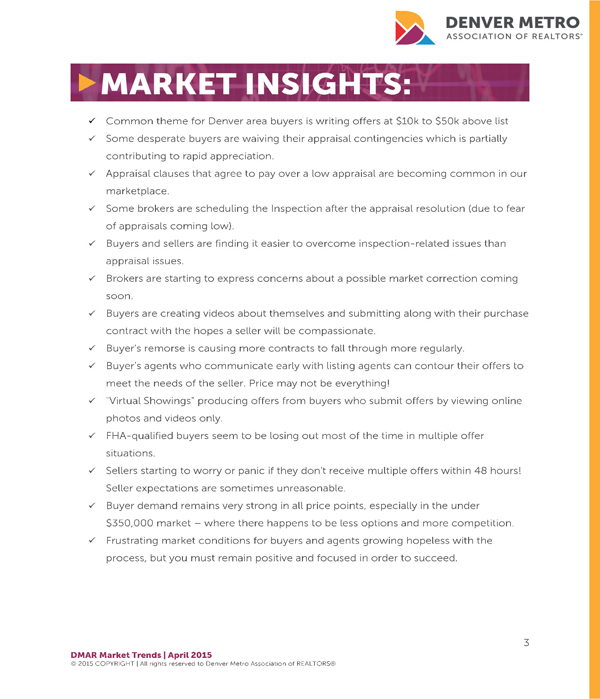 Buyers run from listing to listing, trying to avoid being eaten by the competition. It’s certainly a challenging task since buyers must also avoid being trapped in a corner where they feel desperate to write offers well above list price, or opt to waive inspection and appraisal contingencies in order to compete. This narrative is becoming all too common as Denver's inventory tries to replenish itself in order to keep up with the very strong buyer demand. With the marketplace out of balance, some buyers and agents grow impatient playing this ever-changing game. However, there are still plenty of opportunities in this tough market, and the key to success is to remain positive and focused. As we look at the month-over-month Detached Single Family Home market, we saw a 34.89% spike in new listings. The average sold price increased 3.19% to $398,576 and the median price increased 4.86% to $345,000. 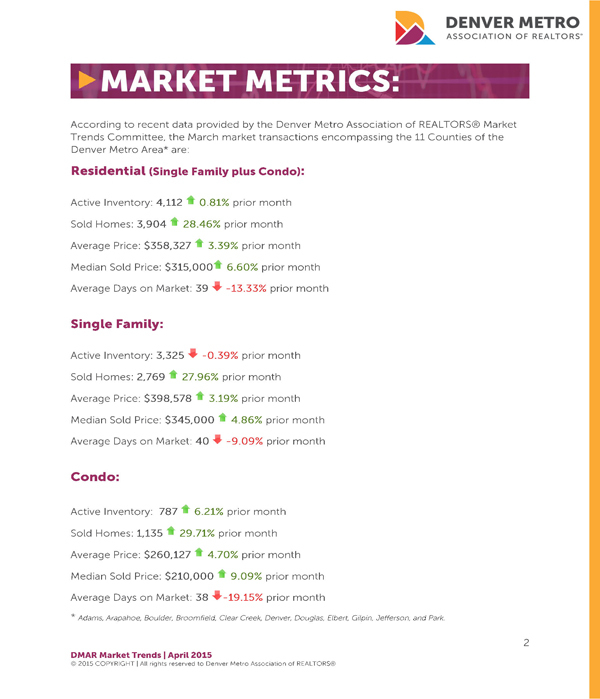 Our Attached Single Family Home (aka Condo) market also showed a healthy supply of new listings representing a 43.89% increase over the previous month while the average sold price increased 4.70% to $260,127. The median price increased 9.09% to $210,000. 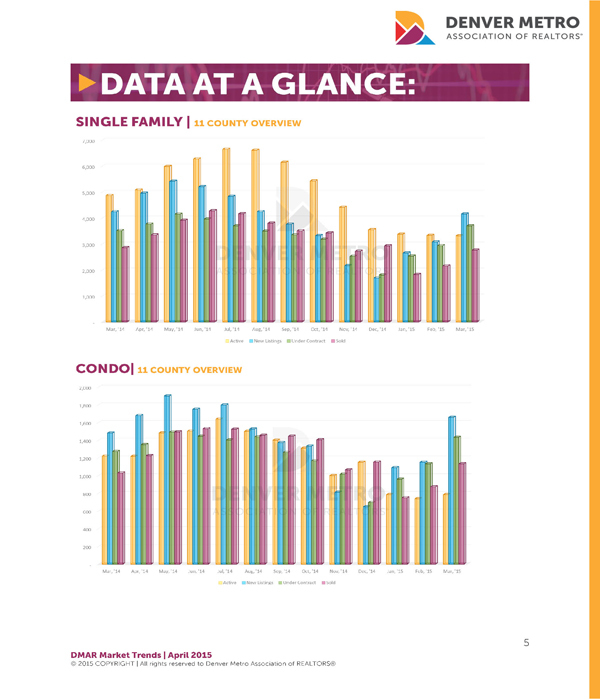 For the entire Residential market, new listings are up 37.33%; under contracts are up 28.05%; sold listings are up 28.46% and total sales volume was $3.3B representing a 13.12% increase over 2014. Looking at the Year-to-Date number of Detached Single Family homes sold, the Market Trends Committee noticed that we've sold 10% less units under $500k but 34% more units above $500k. This demonstration of “the mix” (more units in higher price ranges selling than the lower range) most certainly affects the average price of sold units. Our conclusion is that the 14.61% increase is not necessarily as hot as it would appear so we'll continue to track and report on it throughout the year. 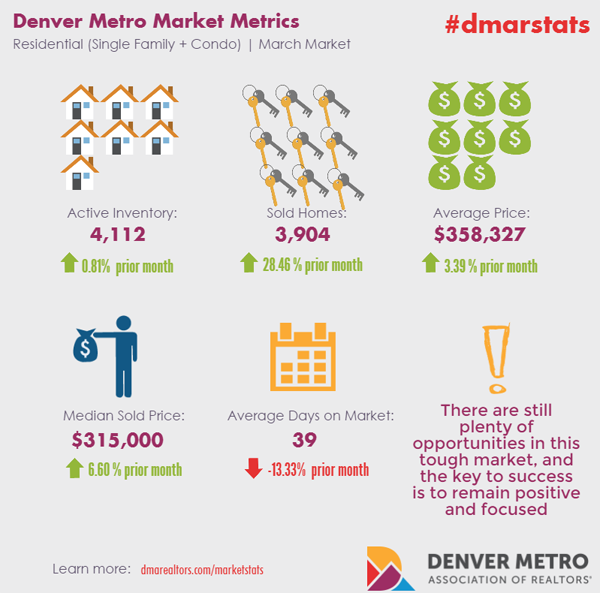 Denver Post - "Buyers snap up metro Denver homes in March's Pac-Man market"